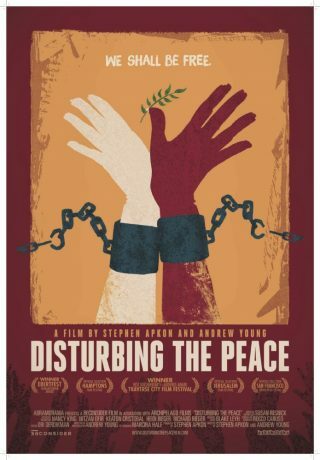 Worldwide acclaimed documentary Disturbing the Peace, tells the story of the activist group Combatants for Peace. Since 2005 these Israelis and Palestinians strive for peace, together, side by side. Supported by archival footage filmmakers Stephen Apkon and Andrew Young tell the story of this group of former enemy combatants and their personal motivations for joining the peaceful struggle. Disturbing the peace follows former enemy combatants – Israeli soldiers from elite units and Palestinian fighters, many of whom served years in prison – who have joined together to challenge the status quo and say “enough.” The film reveals their transformational journeys from soldiers committed to armed battle to nonviolent peace activists, leading to the creation of combatants for peace. This screening is organized by De Balie, together with Movies that Matter film festival and gate48 – critical Israelis in the Netherlands. The film will have its Dutch premiere at the Movies that Matter Film Festival, on March 24 in The Hague.